Africa-based jihadist groups confirmed a trend in 2016: the developing world is bearing the brunt of terrorism. Levels of violence have been such that the bulk of CT activities have been of a military nature, underpinning the sad reality that terrorism, insurgency and conflict are intimately intertwined. Regardless of what the starting point was, a secular insurrection in Mali or militant Islamism in Somalia, jihadist groups have exploited local political, social, and economic grievances to build support bases. However, the intensification of indiscriminate violence has significantly reduced their popular support—as with Boko Haram. There is a continuing debate about whether African groups are part of a global jihadist movement or represent forms of localised jihadism. Local dynamics, grievances and agendas are the main drivers behind the emergence and growth of the African groups and that connections with jihadists outside the continent are less a genuine attempt to contribute to the establishment of a global caliphate and more a tool to strengthen domestic jihad. The interconnectedness of groups within and across subregions is evident, particularly in the north and west of the continent. This is facilitated by individual connections among militants as well as porous borders and the greater ease of communication through information and communication technology. Extremist violence has spilled over from Nigeria into the Lake Chad Basin region, from Algeria to the whole of the Maghreb, the Sahel and West Africa, from Somalia to the Swahili coast—and from terrorism-prone to hitherto terrorism-free nations. IS-linked arrests in South Africa, an incident involving suspected al-Shabaab members in Rwanda and the killing of an IS recruiter in Kigali confirm the trend. Responses have required concerted multinational efforts. 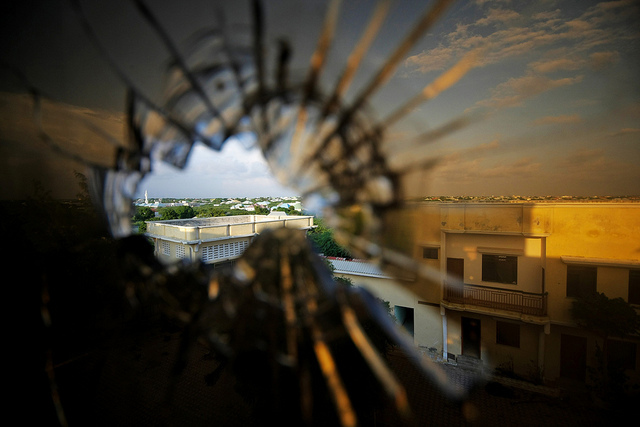 Western involvement, such as the US strikes in Sirte and in Somalia, has often but not always been a game-changer. Regional approaches reduce the risks associated with country-specific action but resourcing initiatives is challenging. Effective coordination seems lacking. In Kenya, Nigeria, Cameroon, and Tunisia the introduction of emergency measures under the guise of CT in some cases resulted in restrictions on freedom of expression and in physical abuse. The lack of an agreed definition for CVE leaves room for stigmatisation of communities such as Somalis in Kenya. Given the key role played by social marginalisation in radicalisation, CVE initiatives might prove counterproductive and infringe human rights. CT, CVE, counterinsurgency and counter-organised crime actions are all part of the spectrum of operations needed to fight jihadists in Africa. It’s a challenge to combine them effectively, but links between terrorism and drugs, weapons and, increasingly, human smuggling (together with other criminal activities, such as kidnap for ransom) play an important role in sustaining the groups, which remain resilient in the face of expanding military operations. Most African groups are less capable of sustaining full-fledged insurgency campaigns and holding extensive territorial control, but they continue to cause havoc, disrupt lives and economies, produce many fatalities and force large-scale human displacement. The military success on some fronts in 2016 shouldn’t lead to complacency. Nations still face a significant threat, and the fragmentation and infighting among African jihadists (sometimes as a result of targeted Western assassinations of group’s leaders) could lead to unpredictability and higher risks. Although high levels of insecurity ought to be met by military operations, a multidimensional approach is essential, and development and humanitarian initiatives can’t wait until security is re-established. Most CT is state-centric, but the idea of Westphalian order is ill-fitted to Africa. Capacity building to strengthen government structures that aren’t always perceived as legitimate by the population, that have a predatory nature or that command armies not always behaving as the protectors of the people can be problematic and, indeed, counterproductive to achieving CT and CVE goals. In places such as Mali or Somalia, ethnicity or clan kindship might be much stronger determinants of identity and loyalty than governments, and foreign actions to support central governments might be viewed with suspicion. The negative effects of this approach are evident when Westerners collaborate with autocratic regimes as with Cameroon, which has hosted a US drone base since 2015, and Djibouti, where the US military has its largest permanent presence in Africa. An approach that prioritises direct bottom-up engagements might be a better option and would also reduce the risk of funds being diverted or stolen by corrupt officials. It might also produce a clearer understanding of local people’s grievances and priorities. Domestic agendas are likely to affect countries’ ability to join regional CT operations. This is particularly true of fragile democracies. For instance, in the longer term there’s a risk that Ethiopia’s internal tensions will constrain its contribution against al-Shabaab. Burundi, Uganda and Kenya have all experienced political turmoil, and their commitment to AMISOM  shouldn’t be taken for granted. The EU threatened to cut its commitment to the Burundian contingent in response to repressive measures adopted to crush domestic pro-democracy demonstrations. Tensions between Morocco and Algeria mean countries that intend to develop strategies with Rabat or Algiers have to do so on a bilateral basis, rather than as part of a regional effort. Such longstanding diplomatic tensions hinder smooth CT cooperation and, with no improvements in sight, should be taken into consideration for future CT engagements. Virginia Comolli is a Senior Fellow for Security and Development at the International Institute for Strategic Studies. Image courtesy of Flickr user United Nations Photo.